If you are looking for a place to relax and unwind, Champion Residency is the ideal choice for you. 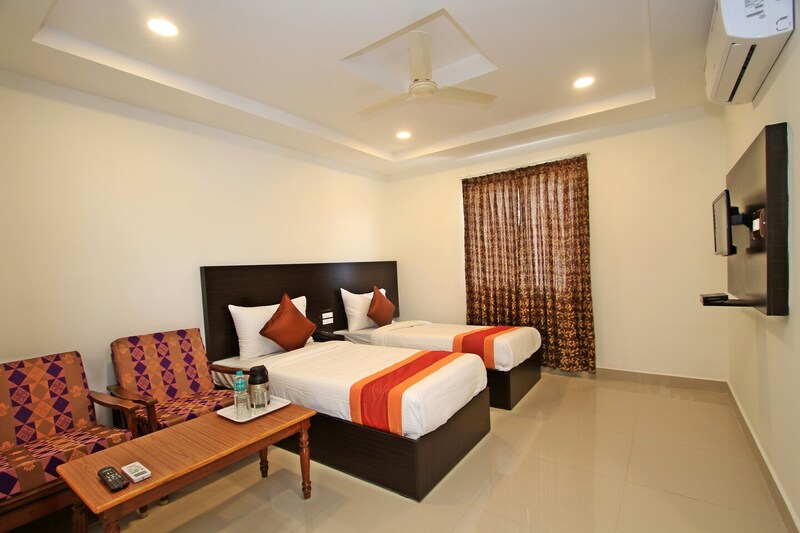 With rooms having minimalist decor, elegant and modern furnishing with basic amenities, the guests can be assured of a delightful and pleasant stay. Plush sofas and a table making for the seating space in the room. The dresser and the wardrobe in the room add to the convenience of the guests. The guests can be assured of their security with the installation of CCTV cameras across the hotel. The various other facilities include free Wi-Fi, elevator, laundry service and parking facility so that guests can have a convenient stay. The guests can also enjoy some tasty treats at the restaurants nearby.